Public Citizen’s Rita Beving has worked with ranchers and farmers against unjust eminent domain practices in regards to pipelines such as Keystone XL, the Seaway pipeline, and others. 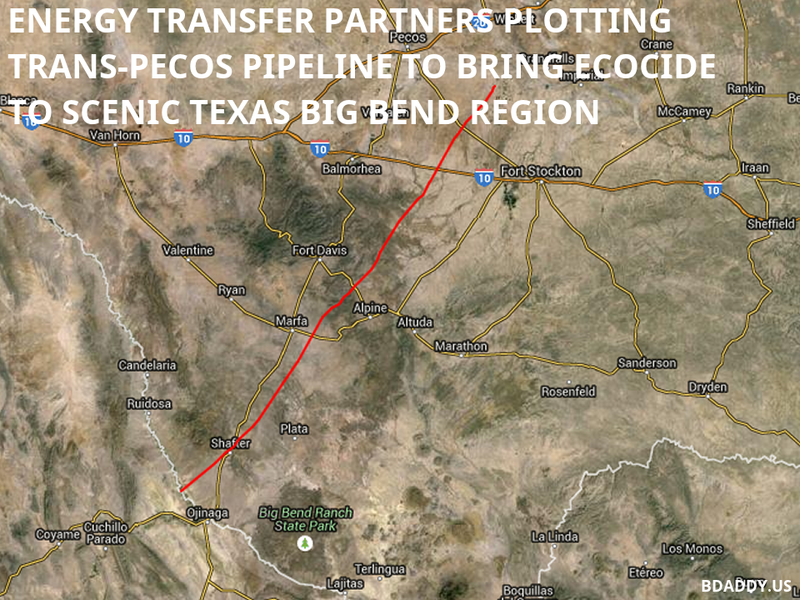 Many of us also know about the injustice of the TransPecos pipeline of West Texas. 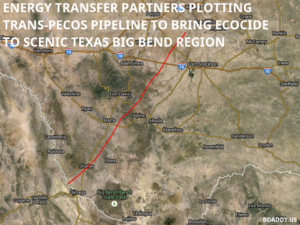 There is a film producer who has now worked for two years down in the Big Bend area shooting footage of the plight of ranchers and landowners in that area and is working on a feature film on this pipeline – but she needs our help as she has funded her work on her own dime and needs to get this film into post production.